Here I have defined a Date object with the new keyword, new Date() to define the date object and extracted Hours, Minutes and Seconds using functions getHours(), getMinutes() and getSeconds() respectively and given codes for a simple clock having 24 hours format and a clock along with AM or PM. checkTime() function is used here to add zero in front of numbers less then 10 and executed the function ‘startTime()’ using window.onload. Here is a inline css code to design the clock, you can change its values according to your wish. 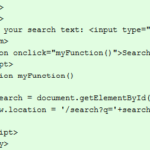 If you want to use the css in separate css file and link to your web page, you can write the css as follows on distinct css file. 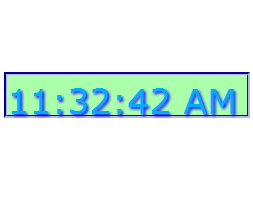 In the above code, variable ap is added to make the clock 12 hour format and to add “AM” or “PM” after the time and added this variable at innerHTML of clock element.